Jaromir Jagr admitted the Dallas Stars weren't the first team he thought he would sign with after the 2011-12 season ended, but he's happy to be the latest member of the team. Jagr, to the surprise of many, signed a one-year, $4.55 million contract with the Stars on Tuesday. "I want to play for a team that feels I can help them and that's the most important thing," Jagr said during a conference call with reporters Thursday. "I think I can play on the first two lines. That was always the most important thing for me. I don't want to be in the NHL to sit around. I want to be a big part of a new team." He'll have that chance in Dallas, where he could slot onto the top line at right wing, playing alongside All-Star center Jamie Benn and four-time 20-goal scorer Loui Eriksson at left wing. Jagr was the most recognizable name in a roster reshuffling by GM Joe Nieuwendyk, which started with the draft-day trade of center Mike Ribeiro to the Washington Capitals. Nieuwendyk signed 40-year-old right wing Ray Whitney on Sunday, then traded two players to the Buffalo Sabres for center Derek Roy on Monday. Last season -- Jagr's first back in the NHL after three in Russia -- he had 19 goals and 35 assists in 73 games with the Philadelphia Flyers. He played on the top line and helped elevate linemates Claude Giroux and Scott Hartnell to All-Star status. Jagr said he's hoping to have the same kind of influence on the Stars' younger players. "I know what it takes to be the best because I felt like probably 10, 12 years ago, I thought I was the best in the world and I knew how to get there," he said. "I don't have the tools to do that now. In that way I can help the young guys, for sure. The most important thing is for the young guys to listen. Talent is good, but without the hard work you don't have a chance. You have to work harder than the other guys. You have to be willing to give up a lot. If it was easy everyone would do it." Nieuwendyk is confident that the number on Jagr's birth certificate -- he'll turn 41 in February -- will have nothing to do with how he plays. "I don't think there's any question he has game in the tank. He had a terrific season with Philadelphia," Nieuwendyk said Monday. "He's still a world-class player. For us to be able to bring a guy like that to our franchise is a big deal. Jagr said after the season ended that his time with the Flyers was the most fun he's ever had in hockey -- including his two Stanley Cup championships with the Pittsburgh Penguins. However, he said he got a feeling that his stay in Philadelphia would be a short one. "After the season -- even during the season -- I thought I would re-sign in Philadelphia, but I guess they wanted to go in a different direction," Jagr said. "They were waiting for [Zach] Parise and [Ryan] Suter, and probably I would have to wait until right now to try to negotiate a new deal with the Flyers and I didn't want to wait. "I thought something would happen after the season or before the [start of] free agency, but nothing happened. Even that probably gave me a little bit of a signal that I'm not going to be back. If they really wanted me back I think they would have probably made some kind of talk before free agency because they had a chance." When things in Philadelphia didn't work out, Jagr said his first choice was to sign with the Montreal Canadiens, but the team wasn't receptive. "I always wanted to play in Canada and I wanted to go to Montreal if I had a chance, but Montreal wasn't interested," Jagr said. "All of a sudden I got a phone call form Joe Nieuwendyk that Dallas was interested." Jagr enters the 2012-13 season eighth on the NHL all-time list with 1,653 points and 11th with 665 goals in 18 seasons with the Penguins, Capitals, Rangers and Flyers. The Stars will be his first Western Conference team, and though some might worry about taking on that level of travel at age 40, Jagr said it won't be anything compared to what he dealt with during three seasons in the KHL. "In Russia I was playing in Omsk and the shortest trip we had was two-and-a-half hours," he said. "That was the shortest trip, by plane. 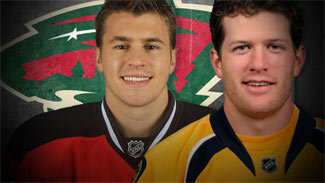 We were flying five, six hours twice a month and it was a totally different kind of plane than the Dallas Stars have." Jagr said he learned a lot about the NHL in his first season back, one of them being what kind of physical condition he has to maintain. "I started the season at 240 [pounds] and I felt pretty good," he said. "Then I dropped to 228 [during the season] and I didn't feel that good. I thought my shot wasn't the same way. … That's the experience I learned last year -- if I lost the weight I would be quicker. But I wasn't necessarily quicker and I didn't feel that comfortable with my shot in the second half of the season because I lost some pounds. I think I'm still in good shape -- I'm nine percent body fat, and at age 40 that's pretty good." Besides his Hall of Fame-caliber regular-season numbers, Jagr ranks among the all-time leaders in playoff scoring, thanks to 16 years of appearances. And despite the Stars missing the playoffs four straight years, Jagr said he's joining them with the expectation of adding to his postseason totals. "The one thing I learned … is don't underestimate anyone -- ever," Jagr said. "I remember years when there were teams before the season [experts] said, 'I guarantee this team is going to win the Stanley Cup,' and they don't make the playoffs. And it goes the other way -- the L.A. Kings last year, so close to not making the playoffs and then they dominated in playoffs. "The margin of error between the championship teams and teams not making the playoffs is so small, the little details make a huge difference. I think with the young guys, Roy gets traded, and Ray Whitney is still a great player. I think we're going to make the playoffs. I don't think any other way. I [missed] the playoffs only [twice] in my life, I don't want to do it again."